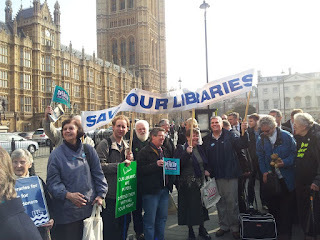 In Suffolk the board of the new clumsily named "Suffolk's Libraries IPS" met today whilst down in Westminster a mass lobby of parliament took place on the issue of libraries. I called in to Westminster to take a look at the lobby and one thing struck me. It was the same thing that has been striking me during the Beccles Free School debacle. Pretty much everyone "protesting" are respectable looking middle class people. I bet you more of a few of them voted Conservative. Just look at the photograph. 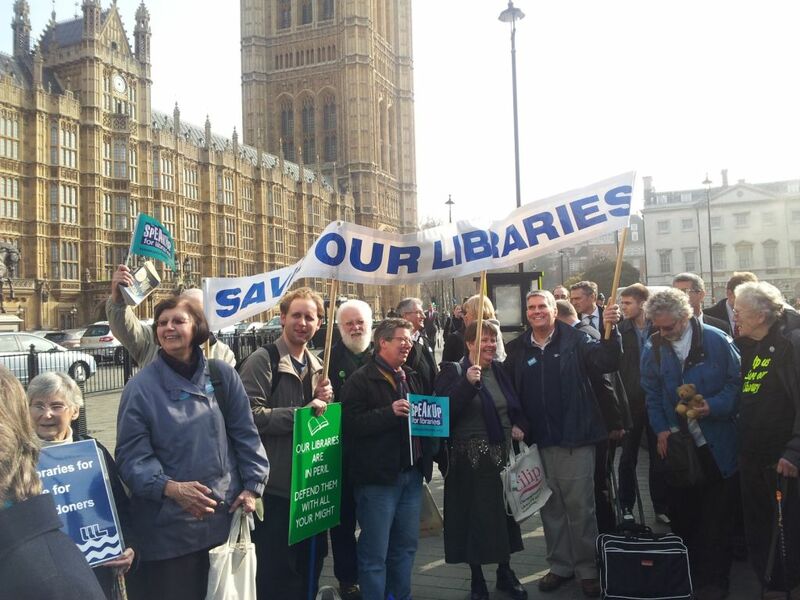 Do these people strike you as "rent a mob" - the words used by Suffolk's Libraries IPS Chairman Clive Fox about Suffolk library campaigners. So here as in Beccles with the free school the Government is not behaving in any way like a truly conservative government. Once again the desire not to fund libraries comes more form the free market neoliberalism that cannot see the benefit of anything that cannot turn a profit. Library Campaigners from the WI - Rent a Mob?? In the House of Commons Minister responsible for libraries Ed Vaizey tried to defend himself against allegations that he was the "Dr Beeching" of libraries. A reference to the infamous author of a report that ended up closing much of Britain's railways. Vaisey spoke once again about the use of volunteers which seems to be one of the arguments trotted out time and time again as an excuse for cutting what isn't even that expensive a service. 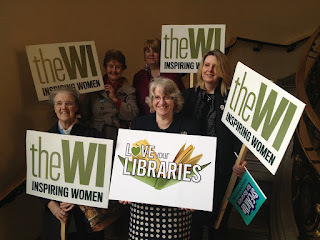 The mass lobby was organised by Speak Up for Libraries an umbrella organisation including the WI, professional library association CLIP, Voices for the Library and UNISON.